Why do some dogs have long tails and some short tails? Most puppies are born with long tails. 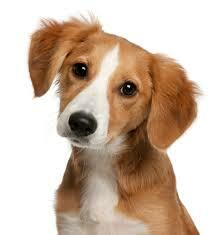 Sometimes very rarely, a puppy will be born with a short tail, for example some corgis and Australian cattle dogs. Some breeds have naturally shorter but curly tails, like the Bulldog. Dogs that are born with long tails sometimes undergo ‘tail docking’. This means that their tail is cut off, usually at a few days of age. In the past, veterinarians did this, but currently vets are no longer allowed to dock tails. Since people still want dogs with short tails, some breeders do the tail docking themselves. Why do people dock puppies’ tails? The reason most people want their puppies tails docked is because they are used to seeing these dogs with short tails, for example, Boerbols, Dobermans and Jack Russell terriers. 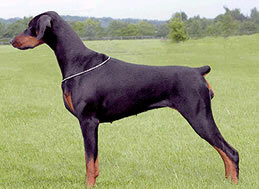 Some people, who take part in dog shows, think that their dog will look silly with a long tail. In previous years people did it for reasons that do not currently apply, eg. They paid less tax for dogs with docked tails (working dogs were exempt from taxes and had docked tails to make it easier for them to work in thick bush.) and they believed it would ward off rabies. Today, people have dogs mainly as companions and these reasons don’t apply anymore. Why do dogs need tails? 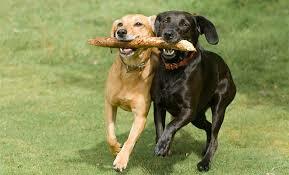 Dogs use their tails to communicate with people and other dogs. When they are happy and want to be friends, they wag their tails wildly. When they are worried or scared, they wag their tails stiffly to say, “Back off, otherwise I’ll bite you”. Dogs with long tails can communicate better, so they get involved in fewer fights with other dogs and are also less likely to bite people. The other function of the tail is to help the dog balance properly. Puppies with long tails are much more agile than ones with docked tails. It is easier for a dog with a long tail to climb, crawl and balance. What are the problems for dogs with docked tails? The procedure to cut off the tails is painful and traumatic for the puppies. Just because they are small does not mean that they do not feel pain. The cut goes through skin, muscles, nerves, blood vessels, bone and cartilage (soft bone). It is possible that they never forget this experience. If the docking is done poorly, there could be physical complications like problems with urinating and defecating and nerve damage that causes pain later on as the puppy grows up. Bleeding during tail docking can be severe and puppies can die as a result. Apart from the trauma when the tail is docked, dogs that have short tails encounter problems when meeting people or other dogs since they cannot use their tails to communicate and can also struggle to balance. Next time you want to buy a puppy, insist on a puppy with a natural, long tail. As long as there are people willing to buy puppies with docked tails, irresponsible breeders will continue performing the procedure. INSIST ON A TAIL OR CANCEL THE SALE.